Some people are born with an eye for design and some aren't. The rules to ensuring your house isn't a disaster decoratively are easy. Creating a focal point, heed the law of thirds, considering negative space are a few. But if you can't be bothered memorizing them, we've got top professionals from around the world who are happy to share their expertise with you. 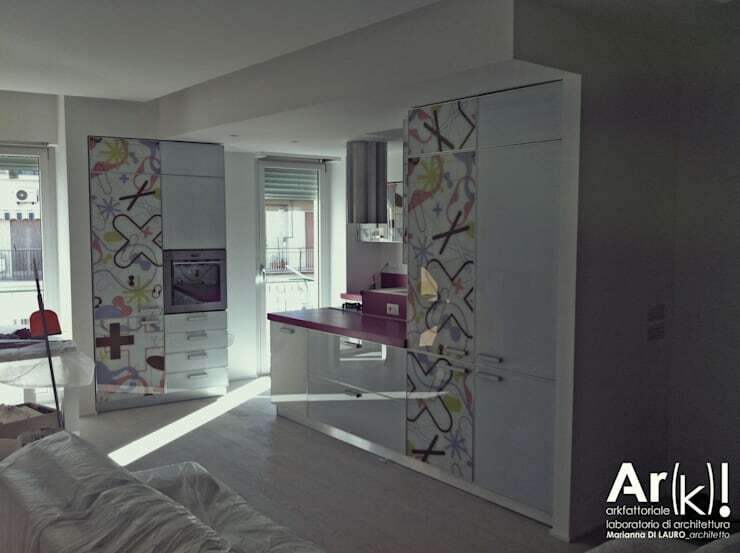 By using different colour schemes, design combinations and mixes of materials, these designers create interesting spaces. Because the truth is, it's not always necessary to revolutionize a home with radical or excessive transformations. By mixing and matching a few things, putting together different shades and hues or just adding an item that draws the eye, you can change the whole look and feel of your home. We will learn how to use natural materials in creative ways, recycle existing furniture and give character and charm to the house. 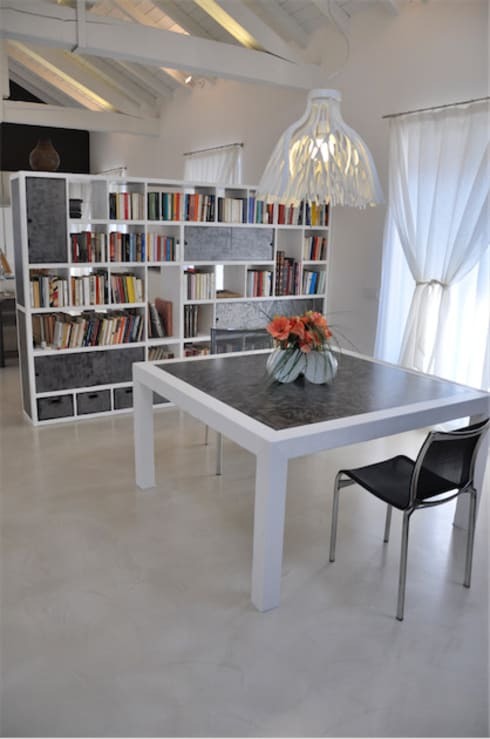 There are some essential elements that make up the decor and design of a house. In the living room, for example, you have to have a sofa. It's also impossible to imagine a kitchen without a refrigerator or a stove. This a wonderful opportunity to mix those classic and fundamental features with innovative design. In this design, we can see how different shades of grey work together, while the materials used throughout the rest of the space achieve that perfect balance between functionality and aesthetic design. Choose an object or a piece of furniture that attracts the eye, bringing a unique touch to the home. This element can be chosen as an object that is personally important or representative of your personality and style, such as a painting or a sculpture. This element will attract attention and will contrast beautifully with the rest of the design and decor in the home. You could also opt for an inherited item from a family member or a beautiful family photograph. Or, it may even be a trendy red Vespa! 3. Be creative: recycle and DIY! 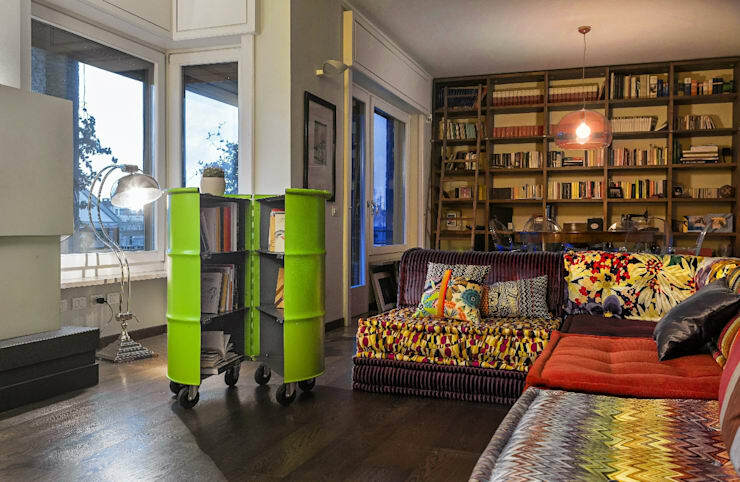 To make your home a unique space, recycle old pieces of furniture or decor items. This is a very popular activity especially because we live in a world that is trying to be more sustainable! You can create beautiful, unique and functional items with a fun DIY project. Pallets are one item that work incredibly well when it comes to recycling. Here's some inpration: cool furniture for almost nothing using pallets. 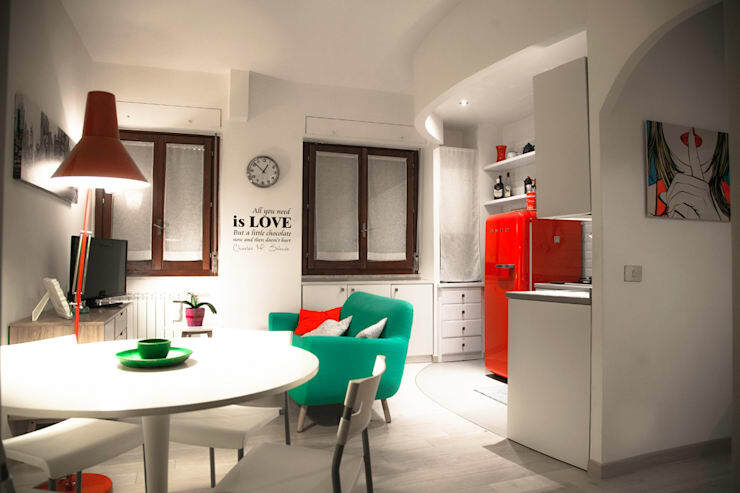 In this fabulous design, we can see how a touch of colour can revitalize the whole interior design. Go for a minimalist look and feel with simple, neutral tones and then add a splash of colour in the form of a piece of furniture, an artwork or even just a cushion. When it comes to furnishing and decorating the rooms of a house, you can afford to get a little bit personal. If you have a favorite film or book, draw inspiration from it! These are important passions that can influence your choices, from aesthetics to style! Colours, geometric patterns, lines and materials can bring creativity and originality to the design of a home. Don't you love the unique wallpaper in this home? Natural materials are a perfect way to bring personality and character to the home, while connecting it to the outdoors. Materials such as wood or stone can be perfect for this. In this design, we can see how there is a beautiful relationship between wood and iron, which gives this space a rich ambiance of elegance. 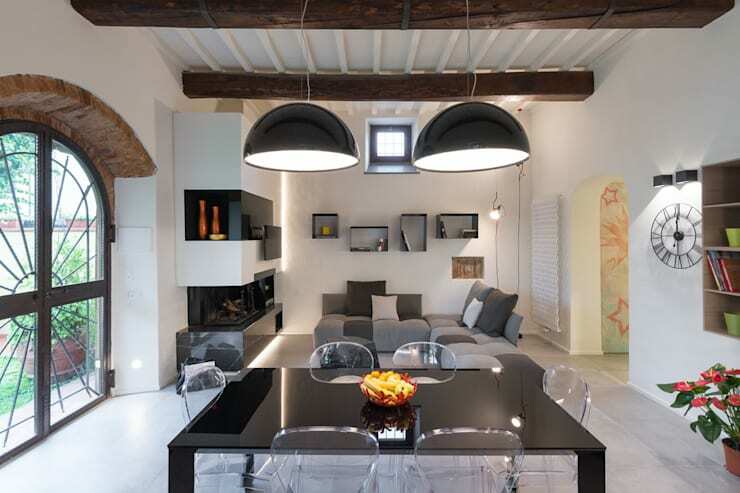 Raw materials can be mixed to introduce different textures and tones into a space.